This box of seeds represents a distiller’s delight that will yield alcohols of all sorts. Whiskey, however, relies almost exclusively on four: corn, barley, rye, and wheat. Can you spot them? Whiskey makers are thieves, stealing starch from four types of cereals—barley, corn, rye, and wheat. The treasure is locked away in the seed of the grain. The kernel is a war chest of fuel—stored as starch—intended to be used by a germinating seed as it grows into a plant. The whiskey maker steals away this seed, grinds it to have access to the starch, and converts this starch (with no small help from nature) into whiskey. Barley is the trailblazer, the original cereal used to make whiskey. Currently, it is most often processed into a malted form and used to make malt whiskeys such as Scotch single malt, Japanese single malt, and Irish single pot still (which also uses unmalted barley). 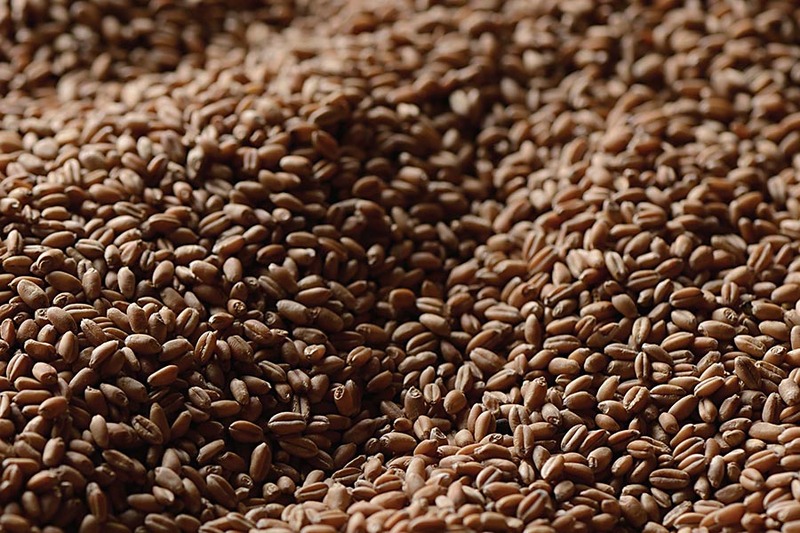 When compared to raw grain, malt is very soft and brittle with readily accessible starch. The distiller usually opens the safe softly, with cracking, as opposed to pulverization. This benefits Scotch and Irish malt whiskeys, where distillers prefer to filter the solids away from the sugary liquid after mashing. Corn is native to America, and is consequently the dominant grain used in the production of whiskeys in the United States (such as bourbon) and Canada (such as blended Canadian whisky). While high in starch, corn is tough. High temperatures are needed to allow for starch extraction. Processed correctly, corn gives quite a bang for the buck in terms of alcohol production volume. Pulverization to a fine meal or flour is common, making filtration impractically time-consuming. Wheat and rye look very similar (as does unmalted barley). Rye is the comeback kid, a cereal used to make the once widely popular rye whiskey that was common in the United States and Canada. While the style fell out of favor, recent decades have seen a resurgence in rye whiskey as mixologists and drinkers have come to appreciate its bold, spicy flavors. Wheat often acts in a supporting role in whiskey styles such as “wheated bourbon” and Scotch blends; but a supporting role can—and in the case of whiskey, certainly does—have immense impact. Both wheat and rye are quite tricky to process into a mash as they are high in pentosans—sugar polymers similar to starch— that result in very high viscosity when mixed with water and heated. However, given the flavors that wheat and rye can impart, working through the difficulties is well worth the effort. Whiskey makers may be starch thieves, but it’s a robbery that takes careful planning and execution, with the plunderous cereal being a vital deciding factor in the resulting bounty of starch and flavor. Whiskey usually derives from one or more of four different cereals—corn, wheat, rye, and barley—whose seeds provide both starch and flavors. 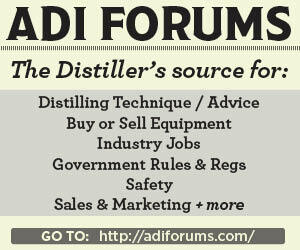 “Grain bill” is a term used to describe the relative amounts of different cere- als in a whiskey. Scotch malt whisky will have a grain bill comprising 100 percent malted barley. Bourbon whiskey will be at least 51 percent corn. Want to impress your friends or win at Scrabble? Consider “caryopsis” which, loosely, is a scientific synonym for kernel or grain applied to cereals. Upon grinding, the starch stews in water to yield mash. The cooking times and temperatures depend on the grain and are part of the distiller’s art. 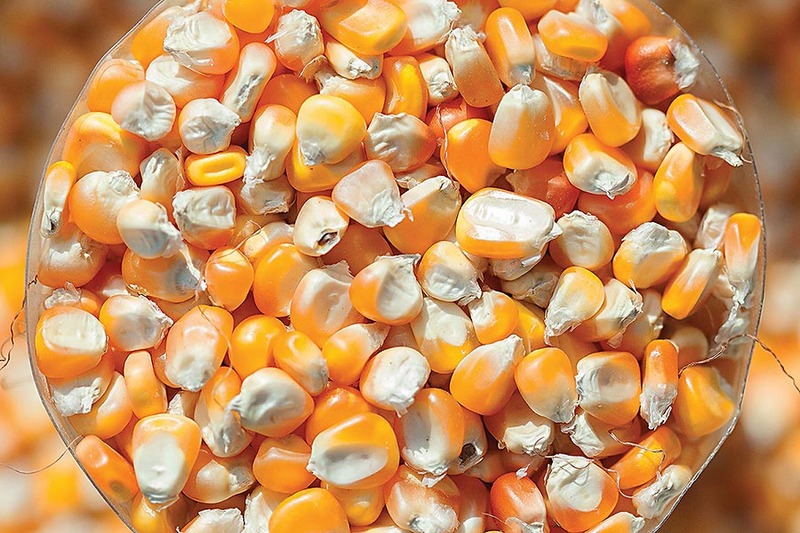 Typically corn is cooked at higher temperatures, while barley, wheat, and rye are cooked at lower temperatures. Fields of barley grass in the United States are usually harvested weather permitting and dictating—in early to late summer. 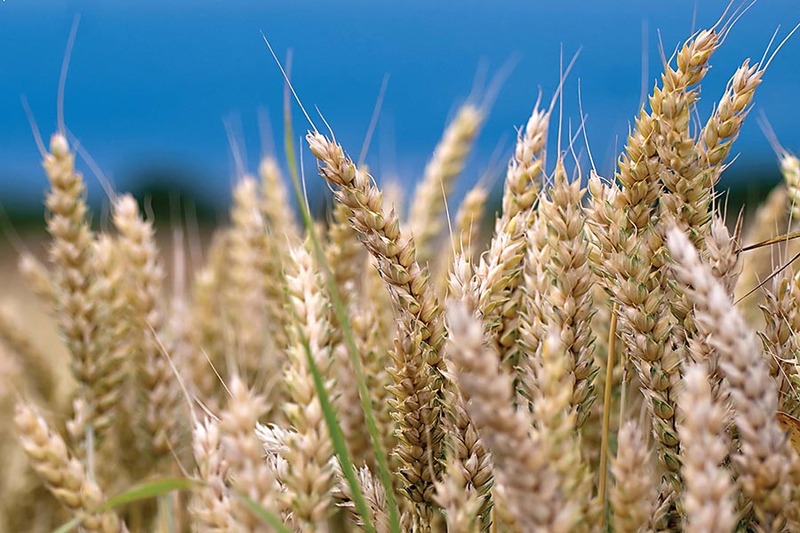 Plant breeders have selected for barley that will not shatter (disperse) their seeds once ripe, thus allowing farmers to collect more kernels per plant during the harvest. Twill make your courage rise. This verse from the Robert Burns ballad “John Barleycorn” (in British English, corn can refer to any cereal) exemplifies barley in the minds of whiskey lovers—a hero. Of all the grains used to make whiskey, barley, debatably, is the most romantic. Much of this is linked to history, as whiskey was originally made in Ireland and Scotland, both regions where barley is the staple grain in whiskey production. As Japan began to establish its whisky-making chronicles, it looked to Scottish practices for guidance, distilling single malt whisky with barley as the base. Therefore, three of the five major regions of whiskey production—and much of the global whiskey drinking population—have an affinity to barley. Barley (Hordeum vulgare) is among the world’s earliest domesticated crop species, originally derived from a wild grass (Hor-deum spontaneum) in the Fertile Crescent about ten thousand years ago. Both H. vulgare and its wild progenitor share very similar genetic makeups (or genotypes), but the grain-bearing part (called the spike or ear) of the cereals differ. While wild barley has a very brittle spike that is conducive to seed dispersion, domesticated barley has non-shattering ears, which is bad for evolutionary fitness, but great for harvesting success. Certain cultivars of domesticated barley can drift even further from wild barley. While wild barley and the two-row domesticated cultivars both have two rows of seed on each spike, the six-row domesticated cultivars have six rows of seed on each spike. More isn’t always better, however, as two-row continues to be the dominant cultivar used to make single malt whiskies. The flavor of two-row is generally believed to be more full and malty than six-row. Regardless, six-row barley is the dominant cultivar in America because of its warmer climate. While it may not be as prized for its flavor, its higher protein content is well suited for converting starch to sugar. Barley is unique among other grains in that it is almost always processed into malt before it is turned into whiskey. Indeed, 20 percent of global barley production is used for malting: a thirsty world indeed. Scotch single malt whisky, arguably the principal vessel for barley’s renown, requires malted barley by law. Similar laws are in place for US and Japanese malt whiskeys. Irish single pot still whiskey requires a com-bination of both malted and unmalted barley. In all styles, barley can impart biscuit, malty, and nutty flavors. Regardless of your whiskey affinity, barley will always be the trailblazer, and all subsequent styles owe a great deal of gratitude to the pioneering grain. Barley was the grain used to make the first whiskeys in Ireland and Scotland. Much of the barley used to make whiskey is malted, making it distinct from the other three major whiskey grains. The term “genotype” refers to genetic sequences, while “phenotype” refers to physical appearance. While Hordeum spontaneum and Hordeum vulgare have similar genotypes, each displays a unique phenotype. Putting the scientific names of plants and organisms in italics is a long stand-ing tradition, Hordeum spontaneum and Hordeum vulgare, for example. Typically, the genus and species—the most specific of the classifications—are identified, the former often with a capital letter abbreviation. A cultivar is a plant group that has been produced for desirable characteristics through selective breeding. which is the endosperm (i.e., the starch reserve that will provide nutrition to the embryo during plant growth). Wee have found a waie to make soe good drink of Indian corne I have divers times refused to drinke good stronge English beare and chose to drinke that. While both Native Americans and American colonists were surely producing corn-based alcoholic drinks before 1620, this excerpt from Thorpe’s letter was the first official account referencing corn’s utility for producing fermented beverages. Thorpe was an investor in the Virginia Company of London, but it appears he was also a corn whiskey distiller. Corn or maize (Zea mays) is a domesti-cated variant of wild grass from the Andro-pogoneae tribe, making it unique among the other whiskey-making grains (barley, wheat, and rye) that belong to the Triticeae tribe. It was domesticated in Mexico about ten thousand years ago and has been an important crop for cultivation ever since. Worldwide, corn is a critical source of food, fuel, feed, and fiber. In the United States, 2008 data shows annual corn yields to be valued at $47 billion, with 86 million acres being devoted to growing this staple crop. In the United States, corn is the primary grain used to make whiskey. Bourbon, for instance, must contain at least 51 percent corn in the grain bill recipe (although 60 percent and above is the norm). Interestingly, it was rye and not corn that was used by the original immigrants to make whiskey. But as they moved south to what are now Kentucky, Virginia, and Tennessee, they found the soil and climate were not as suitable for rye. Corn, however, grew abundantly, and the settlers soon learned (probably with help from the Native Americans) how to process the grain into beer and (unaged) whiskey. While corn certainly had (and still has) a role as a source of nutrition, there was a practical reason for processing it into whiskey: the price of corn spirit was more than double that of its raw ingredient—and a packhorse could carry about six times as much. Corn imparts a grainy sweetness to the whiskey. Because of its high starch content, corn can lead to better alcohol yields than are achievable with rye, wheat, or barley. As a result, it is also a major player in the fuel ethanol industry. Who would have guessed all that back in 1620? At least George Thorpe knew it was useful for one thing—creating a great-tasting buzz. Corn is the predominant grain used to make whiskey in both the United States and Canada. Corn is indigenous to the Americas, and consequently is distinct from barley, rye, and wheat, all of which originated in the Fertile Crescent. Corn’s evolution appears to have oc curred by the curious event of doubling the amount of its genetic material. This doubling occurred multiple times, most recently five million years ago when it became distinguishable from sorghum. When choosing a model system for fundamental plant genetics research, is it surprising that corn was chosen? Completed in 2009, the project took four years to decode all 2.3 billion bases of its genome. by twisting, which ultimately causes the seeds to bury themselves in the ground. With its rich and spicy flavors, more than 50 percent of the annual rye harvest is used for bread making. But trace the cereal roots of American whiskey, and at the base you will find rye. This original and popular grain nearly fell into obscurity for a time, but eventually it crept back to relevancy, and is now just as celebrated as corn—its more predominant, but no more venerated, counterpart. Rye (Secale cereale), like barley and wheat, is a member of the Triticeae tribe of grasses. 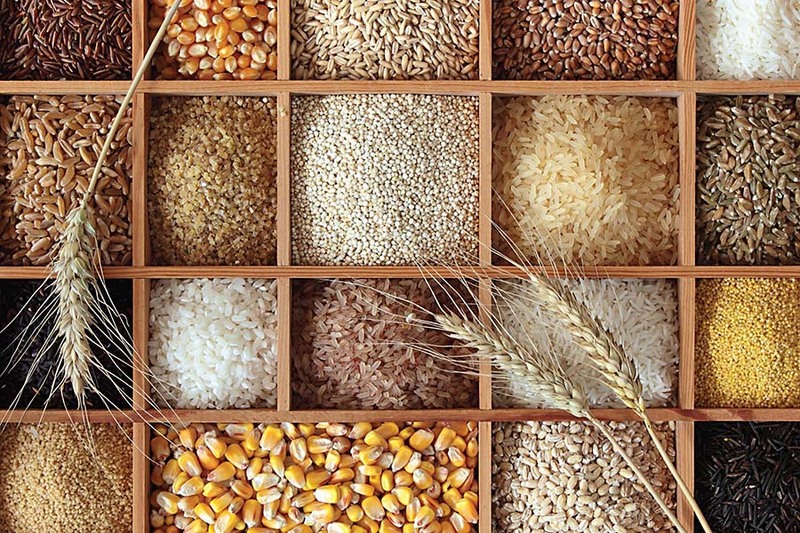 All three grains originated from a common ancestor. Barley split from the rye/wheat lineage about 11 million years ago. Rye and wheat lineages diverged into two separate groups 7 million years ago. Like barley and wheat, rye was domesticated in the Fertile Crescent about seven thousand years ago. Believed to have originated from Secale vavilovii, domesticated rye initially spread as a weed in wheat and barley fields. It found its place as a staple crop about three thousand years after its cousins. Like barley and wheat, rye is a temperate cereal. It is used as food grain, hay, pasture, cover crop, green fodder, and green manure. Whiskeys distilled from rye are primar-ily made in Canada and the United States. While no rules exist that prohibit Scotch grain whisky from being rye-based, wheat and corn are currently the only grains used in the style. Rye whiskey in the United States is a federally regulated style; more than half the ingredients in the grain bill must be rye. Before this mandating, rye whiskey, called Monongahela rye—or Pennsylvania rye—was the dominant style. Traditionally, during the days of farm distilling, Monongahela rye contained a combination of malted and unmalted rye. However, once commercial production of this style commenced, malted rye was often replaced with malted barley. Still, unmalted rye continued to make up 80 to 95 percent of the grain bill. Many fac-tors—the Whiskey Rebellion, Prohibition, and the colonial movement to the warmer southern regions of the United States—led to the downfall of Monongahela rye, and nearly to the downfall of US rye whiskey in general. However, with the emergence of the mixologist movement and its propensity for Prohibition-era cocktails, rye whiskey has resurfaced. Modern-day US rye whiskey must contain at least 51 percent rye in the grain bill (although many distillers are pushing high-rye recipes with 95 to 100 percent rye), and like bourbon, must be aged in new charred oak barrels. Canadian blended whisky is often cate-gorized as being rye-based, but there is no law that dictates Canadian whisky makers use rye, and in fact most Canadian blended whisky contains a preponderance of corn. However, the path to a corn-based whisky is different in Canada from the process used by its neighbors to the south. Where US distillers combine the grains at the onset of the process—before distillation and matu-ration—Canadian distillers often distill and mature whiskies made from just one grain. They then blend the different whiskies together, after maturation. This process is relatively unique to Canada, and it allows them to produce some of the most versatile and approachable whiskies worldwide. The original grain used to make whiskey in the Americas, rye has always played a role in both US and Canadian whiskeys. Unlike barley and wheat, rye is allogamous—meaning it does not self-fertilize—making it more amenable to hybrid breeding. A cool-climate cover crop, rye is common to the Northern United States and Canada. The Monongahela River starts in northern West Virginia and flows into southwestern Pennsylvania where it meets the Allegheny River at Pittsburgh and creates the Ohio River. Thousands of wheat kernels are present in this picture. They are all protected by their brownish coat that is called bran. When bread is made with “whole grains” it means the bran (which is nutritious) is not removed from the flour. When bread is made with refined grains (i.e., white bread), then the bran is not utilized. In the world of grains, there are a select few (four, to be exact) that are commonly used to make whiskey. Three of them are stars, with leading roles in some of the best-known whiskey styles. Barley (in the malted form) is renowned for its use in single malt whisky. Corn, native to America and rich in starch, is the primary player in bourbon whiskey. Rye—a time-tested style that nearly disappeared from the U.S. scene—has experienced a recent resurgence. Wheat, however, almost always seems to play a supporting or underappreciated role. Sure, it gets some recognition as “wheated bourbon” (a recipe of corn, wheat, and malt), which is the less common but often prized counterpart to “ryed bourbon” (a recipe of corn, rye, and malt). But ultimately, wheat whiskey is an essentially nonexistent federally mandated style that is represented by a trivial number of brands. Is wheat really a background star? An extra? Indeed, wheat’s meager reputation is unfair and unwarranted; in reality, it is the main grain component of the largest whiskey category by sales. Wheat (the Triticum genus) was first domesticated from wild grasses about ten thousand years ago in the Fertile Crescent. As agriculture evolved, so did the wheat ge-nome. The three progenitors of wheat derive from the group Triticeae and include Triticum urartu (wild wheat), an unknown close relative of Aegilops speltoides (goatgrass), and Aegilops tauschii (Tauschii’s goatgrass). From these genetic collisions, modern bread wheat (Triticum aestivum) emerged. In whiskey, wheat lends sweet, creamy, and bready flavors and aromas. The only style of whiskey that must use wheat is the US-regulated wheat whiskey. This style has been largely ignored, although a few trailblazing distillers (both large-scale and craft) are starting to introduce different expressions. In Canadian whisky, wheat is sometimes utilized, but it is much less common than corn and rye. Wheat, a grain so popular with the global population as a food source, seems quite unpopular in the whiskey world. But wait. Consider the largest whiskey category by sales—Scotch blended whisky. Is that wheat we find? Scotch blended whisky is made up of two types of whiskies—single malt and grain. Scotch single malt whisky is made—by law—from 100 percent malted barley. Scotch grain whiskey, fortuitously for wheat, can be made from any type of grain. In the 1980s, wheat replaced corn as the main cereal for Scotch grain whisky production. In a typical Scotch blended whisky, the grain whisky component will comprise 60 to 80 percent of the total volume. Consequently, the main component of Scotch blended whisky is grain whiskey, making wheat-based whiskey the main actor in the largest whiskey category by sales. Move aside barley, corn, and rye; the background actor just became the star. 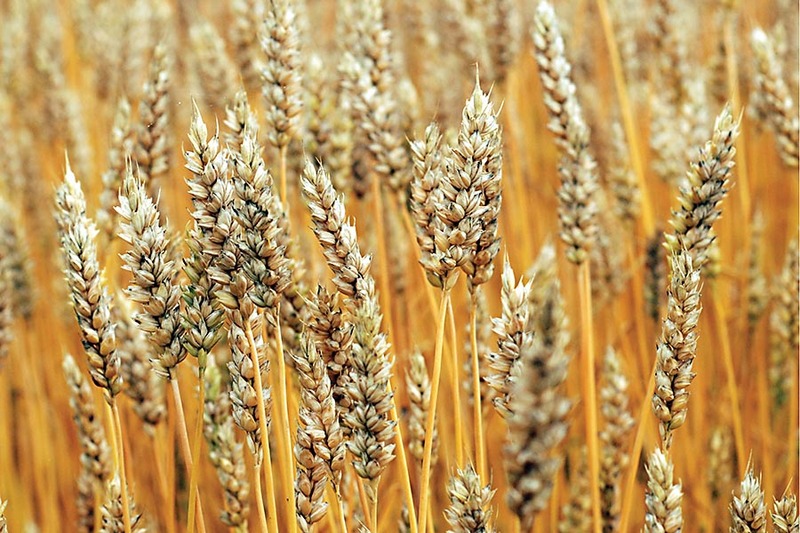 Wheat is one of the four grains commonly used to make whiskey. Seemingly rare, it is actually the major component in many Scotch blended whiskies. Modern bread wheat (Triticum aestivum) is described as hexaploid because it has six copies of DNA, a vestige of the acquisition of multiple, diploid (two copies of DNA) genomes. A staple for 30 percent of the world population, wheat provides 20 percent of the calories needed with an estimated production increase of 70 percent required over the next forty years to meet demand. “Whisper of Wheat” is a phrase originally coined by Pappy Van Winkle for the Old Fitzgerald brand of wheated bourbon.